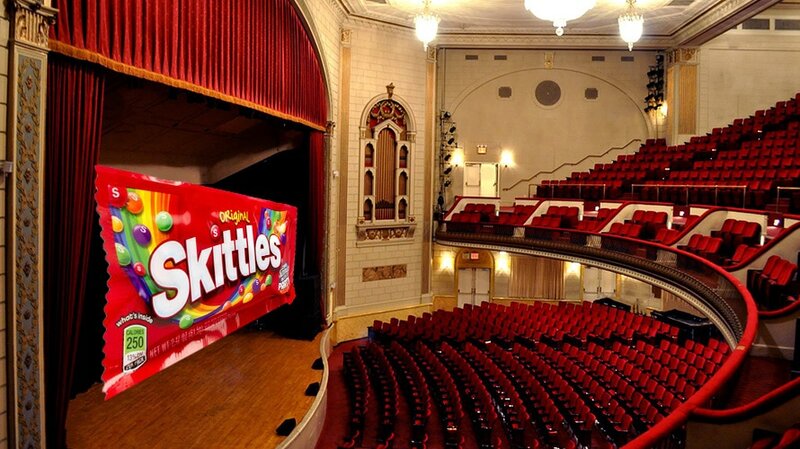 Nobody's sure what Skittles' musical will look like, but we know it'll include Skittles. Until recently, the toughest Broadway theater ticket to come by was Hamilton, the 2015 hip-hop musical celebrating the travails and triumphs of founding father Alexander Hamilton. These days, 300 bucks can land you a seat somewhere in the second mezzanine, and the frantic rush for tickets is over. 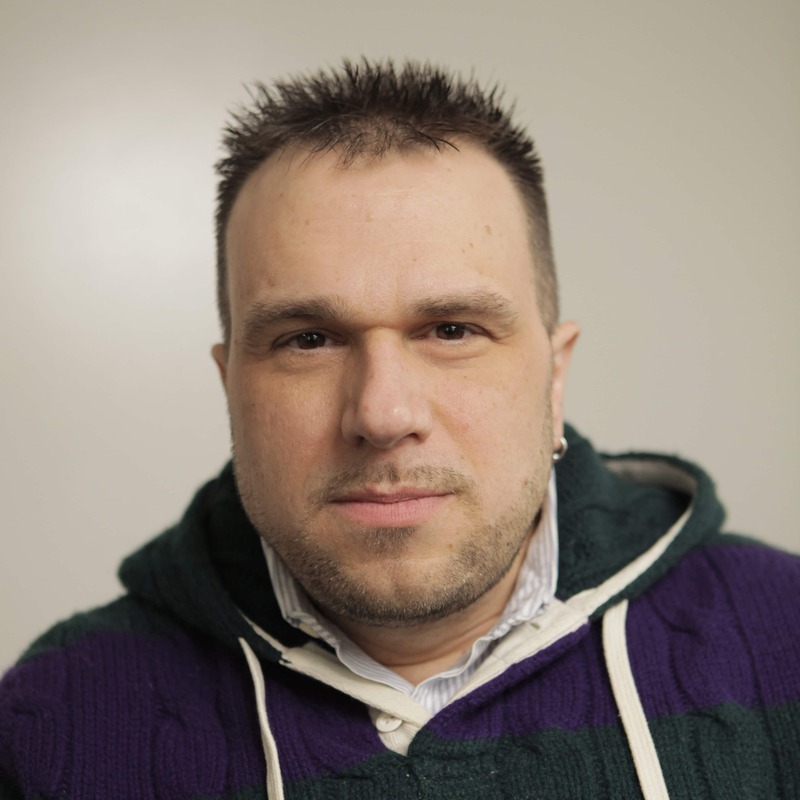 So what’s New York’s next hot ticket going to be? Very possibly, a musical revue about a chewy fruit candy. Mars today announced it will stage a one-night-only musical themed around Skittles. 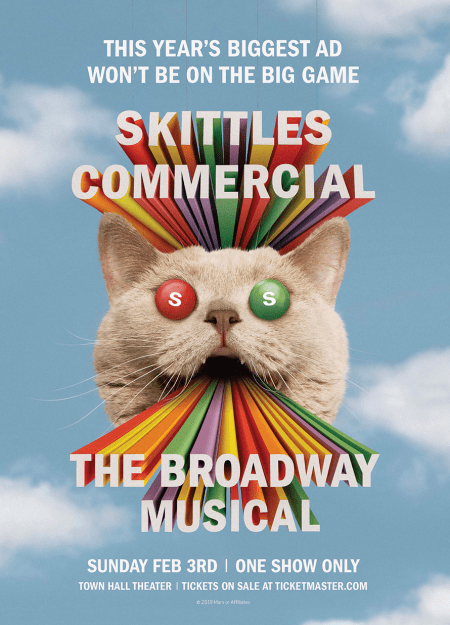 “Skittles Commercial: The Broadway Musical” will debut (and close) on Sunday, Feb. 3, at The Town Hall on West 43rd Street. As the name and date suggest, the play will run in lieu of a Super Bowl ad. It will also mark the second year Skittles has turned its nose up at the biggest sporting event of the year. Skittles achieved a marketing coup last year when it produced and shot a Super Bowl ad, and then, instead of airing it during the game, screened it for a lone Skittles fan, a lanky California teenager named Marcos Menendez. While Americans never saw the ad (which featured ex-Friends star David Schwimmer), they were more than willing to watch Menendez watch the ad. Say what you will, but the stunt, which included short video teasers the public could see, snared 1.5 billion earned media impressions. So while a one-night-only Broadway show is a nervy and no doubt costly move for Skittles, the need to top the social-media splash it made with last year’s stunt presumably left the brand with limited options. That is, if they’re lucky enough to get into the show. A mere 1,500 tickets will go on sale via Ticketmaster. And as with any Broadway show, prices will vary depending on seat location. Skittles will funnel all of the proceeds to Broadway Cares, a nonprofit that raises funds for AIDS-related causes, and match the total with its own donation. The show will run roughly 30 minutes, and its 1 p.m. curtain will leave attendees plenty of time to make it home for the Super Bowl. Not incidentally, it’ll also leave them a nice window to talk about the show on social media before the Big Game starts. The Skittles show will also feature a bona fide celebrity among its 17-member cast, the company said, although it declined to name that celebrity for the time being.